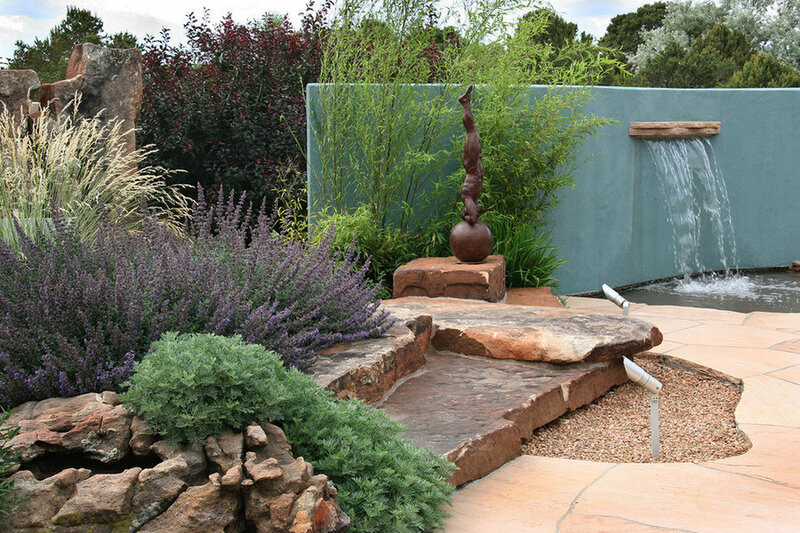 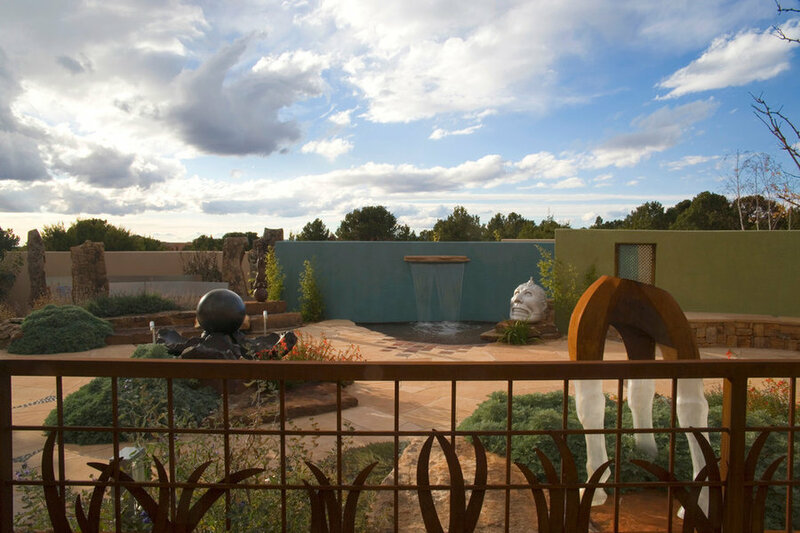 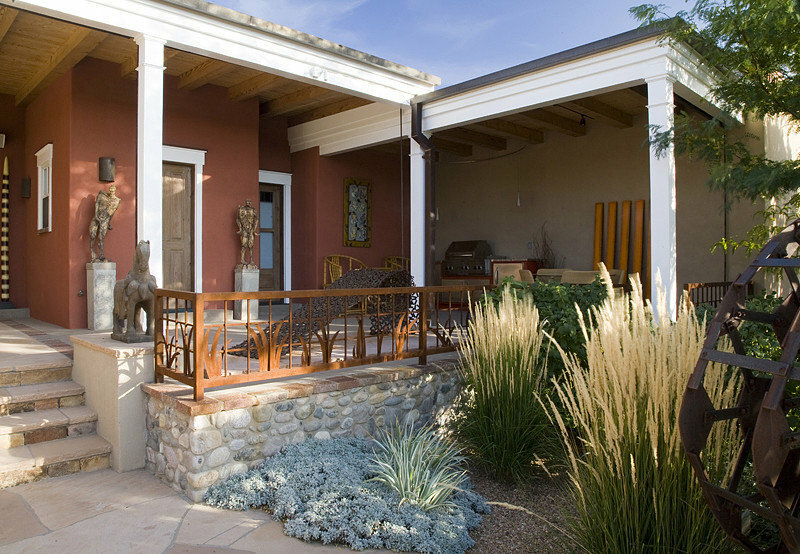 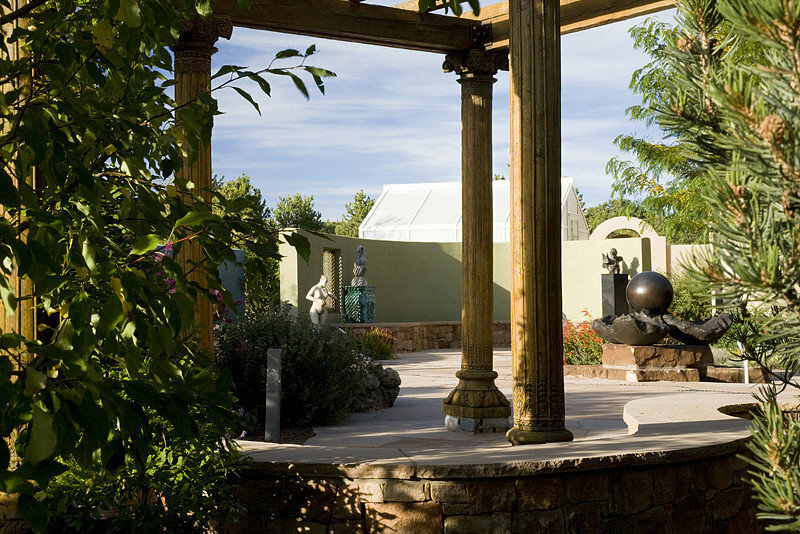 The owners of this dynamic garden have a sophisticated aesthetic that has been honed through years of art collecting. 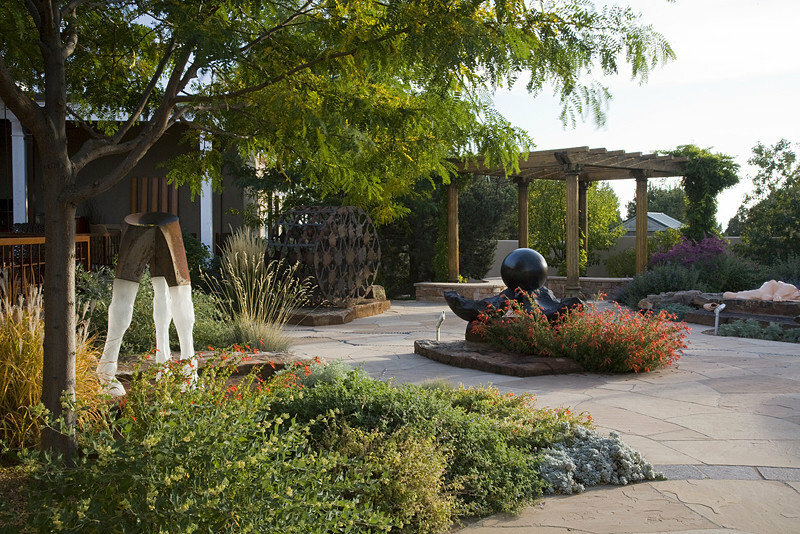 The design team was asked to create a garden space that was as artful as the art it was to exhibit. 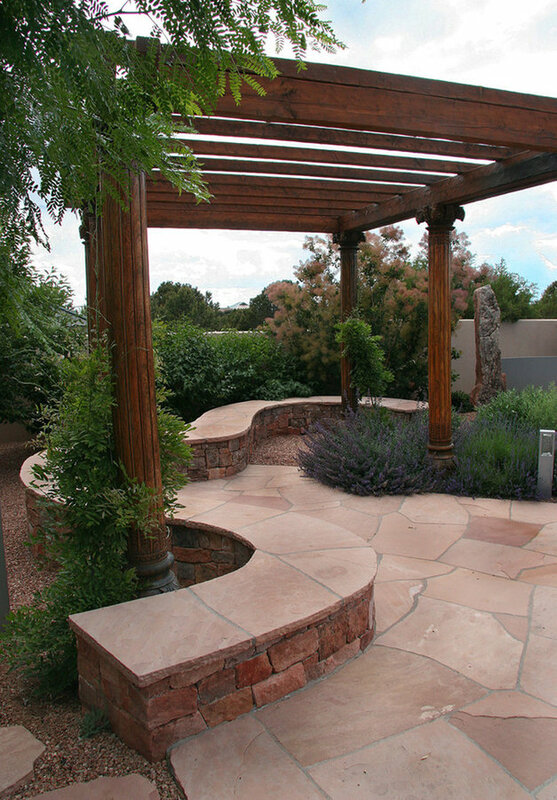 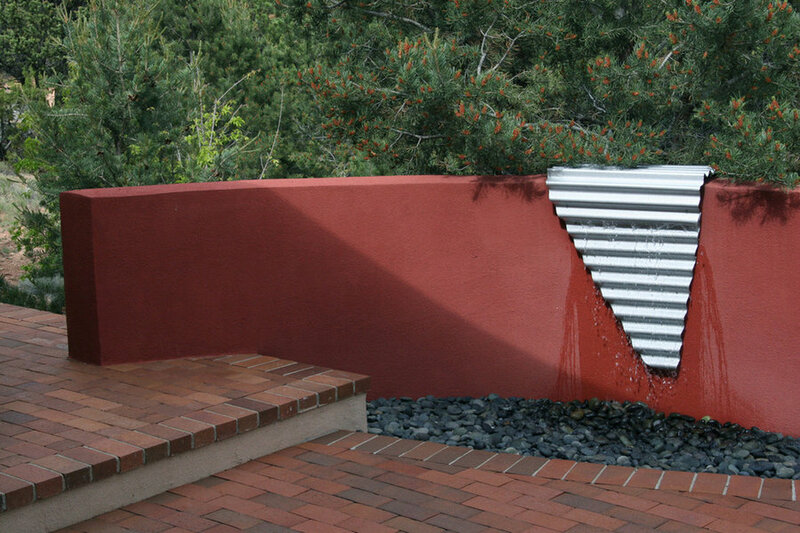 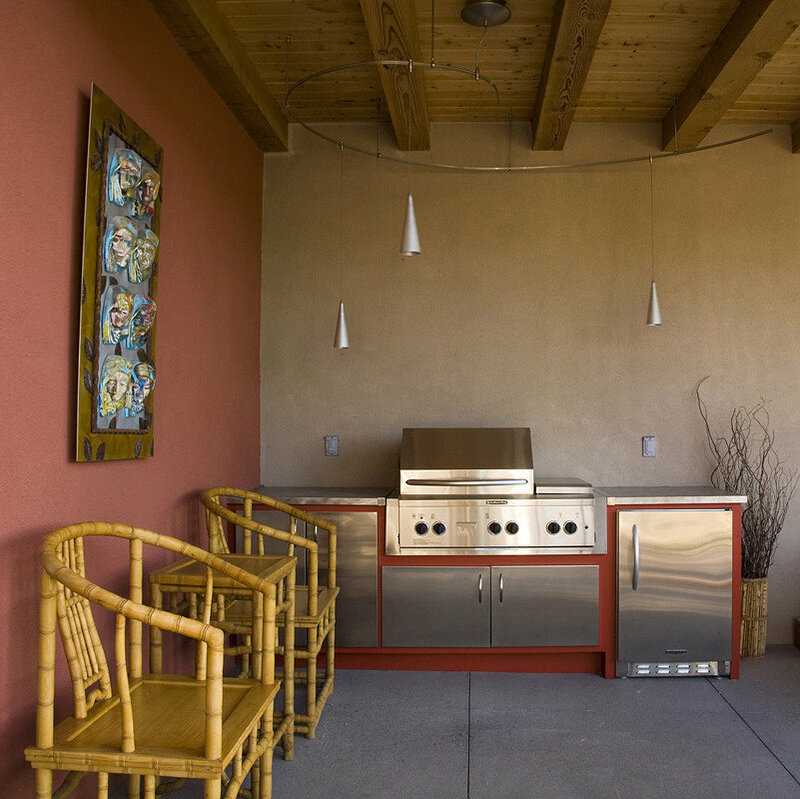 Pattern, texture and color were repeatedly integrated into the landscape design. 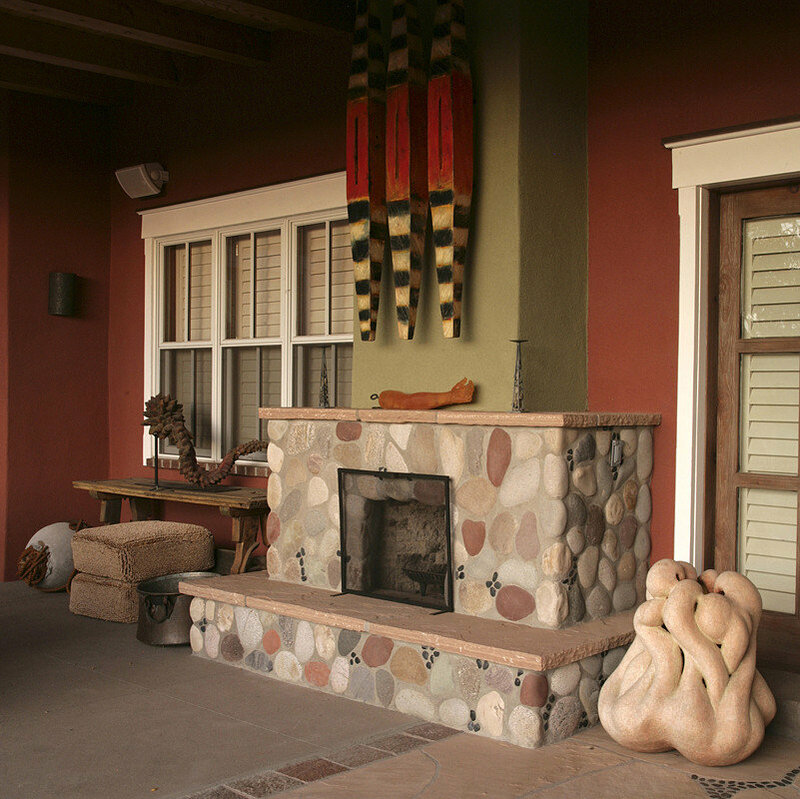 The front entry became a smart invitation to experience a home beyond the mundane. 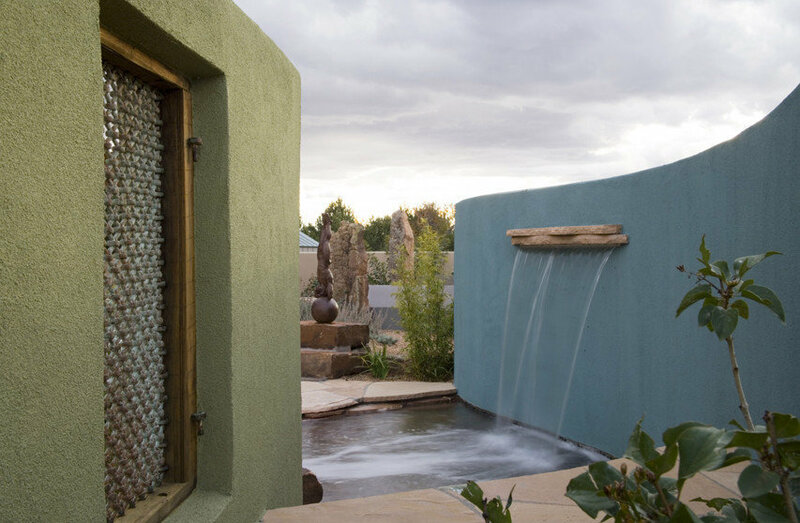 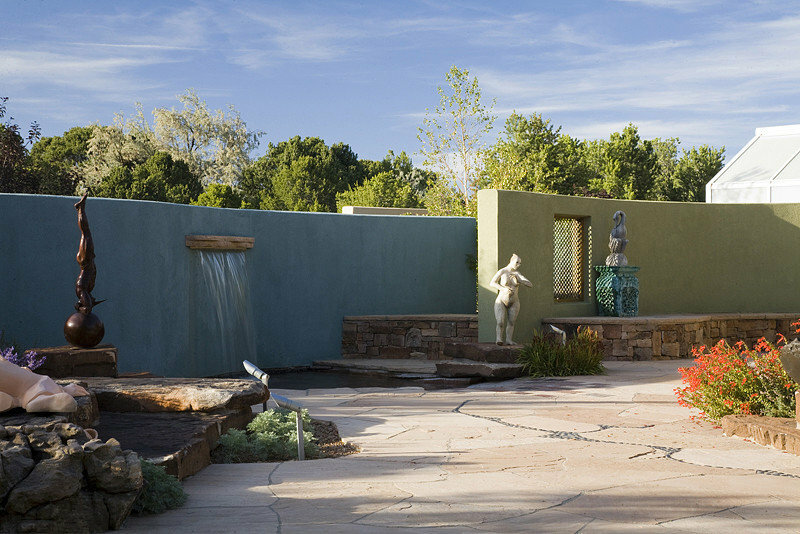 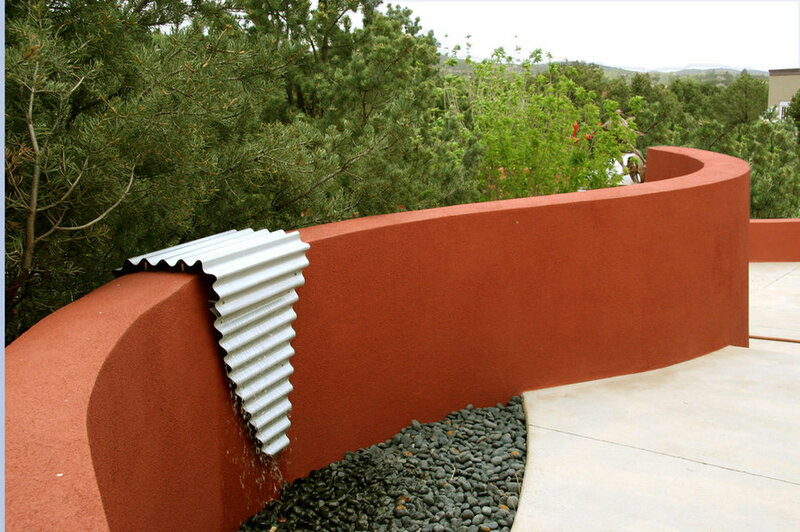 The curved walls in stone, jewel-toned stucco, or steel are the underlying theme flowing through the landscape. 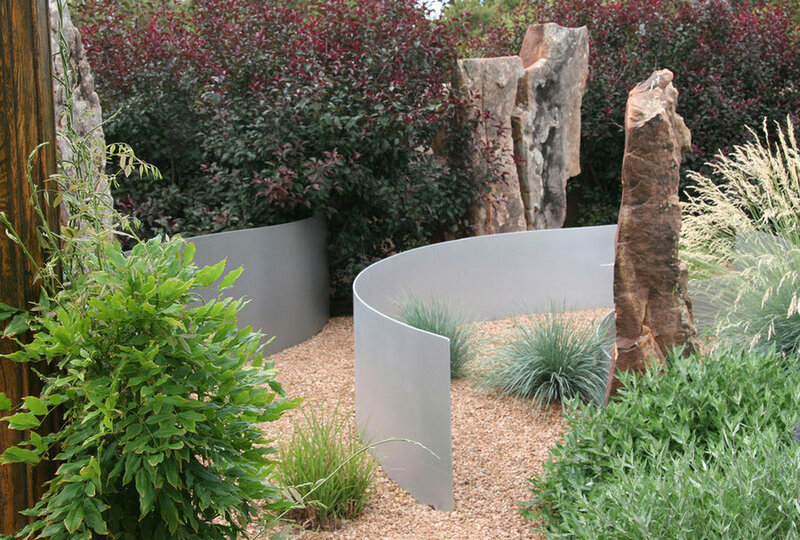 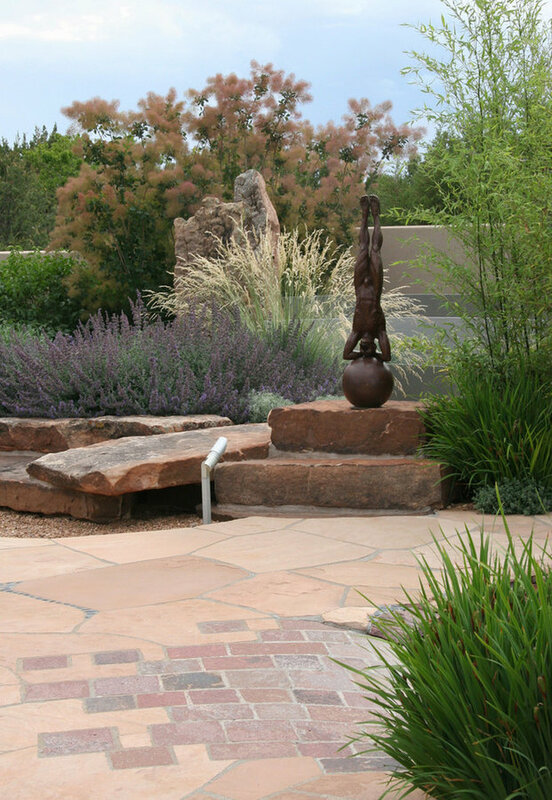 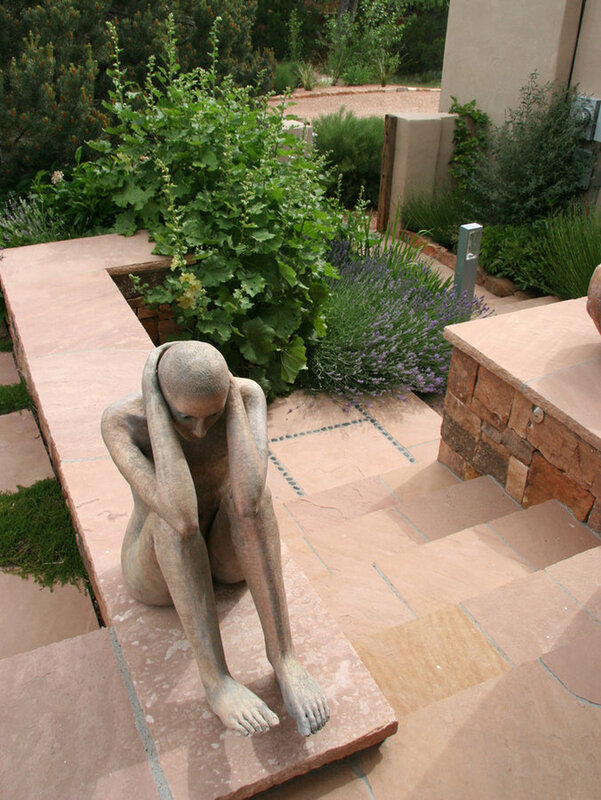 Large flat stones meld into the landscape and serve as pedestals for the outdoor sculpture. 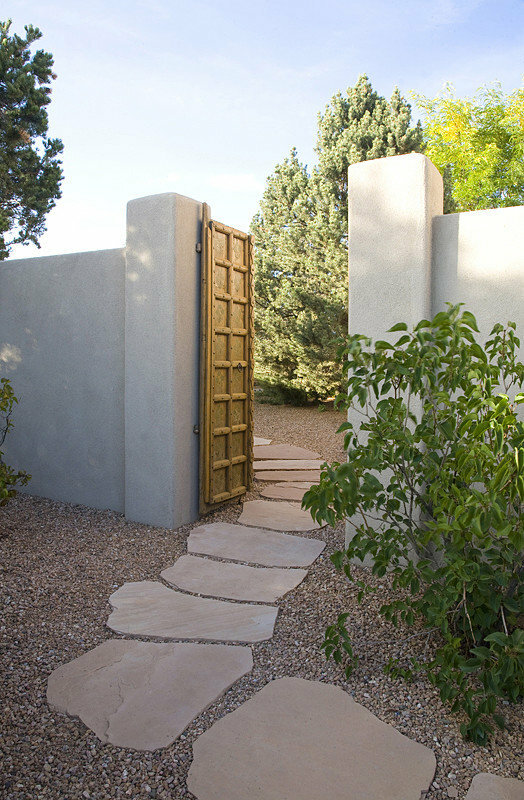 This project was proof that successful synergy between client and designer can have dramatic results taking the project far beyond initial expectations.